does it come with filament? 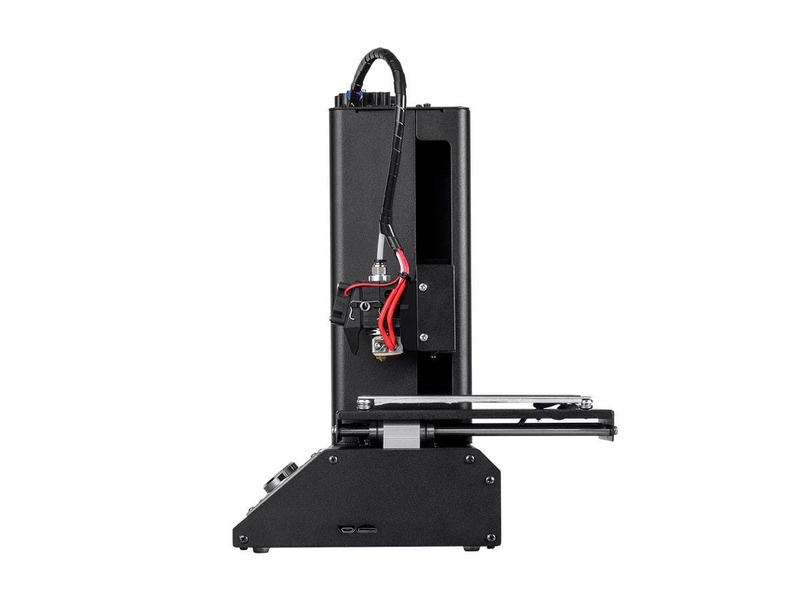 BEST ANSWER: EntReady to Print: Unlike most other low-cost 3D printers, this printer ships fully assembled and has already been calibrated at the factory. 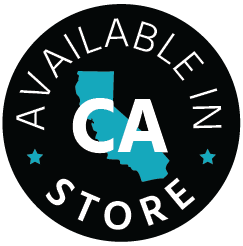 We even include sample PLA filament and a MicroSD™ card with preinstalled models, so you can start printing right out of the box! er an answer to this question. Yes. How much filament are you hoping for? It comes with less than that--you'll need to buy more. It's not DRM filament, so that's awesome! Only a small sample roll. Enough to print the included demo file and maybe one or two small items. It comes with enough filament to print the sample file on the memory card (a small cat statue). A very small amount....starter only. You will need to purchase a reel. A small amount of PLA, just enough to print the test print. A very small amount of filament come with the printer. Ours came with a sample of white filament. It does not include filament. Yes but just a starter coil. How do I use the sd card in my MAC? I don't have a slot for it. do I have to get a different SD card? BEST ANSWER: Hello. I have a Mac as well and you will need to get a card reader. I bought a simple one that takes either the micro SD or standard size SD and then plugs into either a USB C or Standard USB port. I use CURA as the slicer program. Have not had any problems. Great little printer. Apple wanted to make their computers sleeker, so they stopped having useful slots. That's one reason why I continue to use my 2013 MacBook Pro, which has an SD slot. You can buy an external adapter. I purchased a micro sd to usb. I’m not sure what other way to do it. Also if you wanted to, you could set up the WiFi and send the files over WiFi. Your best bet would probably be to find a third party USB -> SD card adapter, and use that to transfer files to the SD card for printing. Use a card reader. You only need a USB port. You need to buy a card reader for your Mac. USB to Micro SD card adapter. what's the best software to use with this printer? i'm a noob. Thanks! The printer comes with a free software called "Cura". The software is easy to use. I found cura to be the best slicing software, a lot of variety and very consistant with prints etc. I also use octoprint instead of the sd card, i'd look into that. Slicer: Use Cura, it will come with your printer. As far as design goes, start with TinkerCad and work your way into Fusion or Inventor. I have had great luck with Ultimaker Cura software that can be downloaded from the Internet. Ultimaker Cura. Or IdeaMaker. Those are free and easy to use. I like it and its easy to use. Cura works well as a slicer. Can I put an .STL file on a micro SD card and insert it to print or do I need to attach the printer to a computer? BEST ANSWER: You want to use Gcode with this printer, you can load an STL into your slicer of choice (it comes with Cura) and then put the gcode onto an SD card and print from the card, the best thing to do is to invest in a Raspberry Pi 3 + SD Card and install Octoprint, this will act as a webserver for the printer and will slice STL files for you on the fly. In order to print an stl file, you'll need to use a slicing program to turn it into g-code that the machine can understand it. Cura and Sli3r are some popular programs. There is a ready to print cat file on the sd that comes with the printer, but otherwise you'll need to use the slicing program to set the "resolution" of the print, the infill, etc. then through WIFI, USB, or Micro-SD you load the file onto the print and print away! 3d printers only print from gcode. You have to open an stl file with a slicer program like Cura and create the .gcode file. Then you can copy the gcode file to an sd card and print it directly from the printer so you do not need to directly connect the printer to a computer. No, the printer can't use .STL file. You need to use Cure program that comes with printer to create ,gcode file, save it to the micro SR card and insert to the printer. The .STL has to go through Cura that slices up your .STL file and sets the machine temperature to generate Gcode. The Gcode then goes on to the microSD card. Hi! Yes, you can put the .STL file on a micro SD card and print from that. The printer actually ships with one included. Hope this helps! Wich PLA or ABS is compatible with V2? 3.0mm or 1.75mmm? How long does it take to start printing after it has preheated? BEST ANSWER: That's a hard question to answer for sure, as it's going to depend on your .gcode file. Once both the bed and nozzle are at the temp specified in the file, if the .gcode is working as intended, it should proceed to the purge wipe (if your slicer puts this in the gcode) and then move to start printing. If its heating up, but never doing anything, I would verify that there isn't an issue with the .gcode itself, and if the file is correct, try using a different SD card. Nothing significant enough to notice. I just ran the "Autodesk Kickstarter 3D printer test" (google that phrase to see the model) and it took a minute or two to preheat and 9 hours to print, so a few seconds in between doesn't really seem significant. I judged my result on the test to be an 18 out of 30, BTW and I'm very happy with the printer. If its already preheated, it should start printing straight away. Unless the file you're printing has higher temperatures than the ones you specified when preheating it. Then it would just start printing as soon as those specified higher temps are reached. Doesn't take long to start printing. Just the time it takes for the nozzle to go to the home spot then move to the start of your print location. Maybe 10-15 seconds depending on location of the nozzle at preheat. Takes ~3 minutes to preheat, once it reaches temp it takes 10-15 seconds to confirm it's stable then it starts. How loud is the printer at most ? BEST ANSWER: I guess that entirely depends on your sensitivity to sound. You can definitely hear it. I actually like hearing the whir of the printer while it's working. Not really loud enough for me to have to turn up my TV if it's on (my 3d printer is in my living room) but if I really need to hear something on that tv maybe? it's pretty loud. You can quiet it down a bit by removing the shroud on the arm, but you'll need to print a mount for the endstop that's attached to it... simple process, well worth the noise reduction. Still kinda loud though. It is actually pretty quiet. It is comparable to a fax bring printed line by line. there is a low droning of the mechanics but that's about it. I hope this helps! I don't know the answer in decibels, but its reasonably quiet. Quieter than a whispered conversation in my opinion. Noise level is acceptable. Less than my microwave. Platform is not heating how do I fix this problem? BEST ANSWER: In all likeliness the bed wiring is broken and or shorting. Sometime the thermistor detaches from the bed too. There's no fast way to fix it. MP claims to not have parts for it and would prefer to replace it under warranty. To fix it you will have to disassemble the bed and het pad and check every inch of the cable. You'll probably find the wires broken at several points if its like mine was. I cut out the bad spots in the cable and respliced it only to find it was also badly rubbing on everything under the bed. I reran the cable so it goes in and out of the base plate when moving. Some mods involve drilling holes in the back of the base and rerouting the cable outside the base/heat bed. Not a quick fix. Mine was sent back in twice for warranty repair. The bed movement will tear the insulation on the bed heating wires. Same problem after just 10 days. Broken wire(s) underneath the bed, caused by zip-ties restraining movement. You'll need to fix them yourself, and add a small loop so the wires can flex. Sending it back for a replacement will get you a printer with the same basic issue... pinched wires at the zip-ties. Send it in for RMA one of the wires under the bed tends to fray Becuase of where it is placed. Check out youtube. There are more than one reasons for this problem. Does this printer accept gcode? BEST ANSWER: Yes. As far as I can tell that is all it accepts. We use Cura to convert from other formats into gCode. Yes, you can either upload it with the Wi-Fi app, use the SD card, or print directly over USB. Is there a fire hazard by using this product? That is, does it get too hot sitting on a wood surface? Mine has been sitting on a wood surface since I bought it. The work area remains cool. The heat does not radiate from the build surface or the print head for more than an inch - if that far. I've not observed any heat from the bottom of the unit. I've let it run for long 10 hour prints overnight on a wooden desk or table without supervision and have had no sign of fire. No not at all. The hotplate is suspended well above the base plate. It does not transfer down at all. 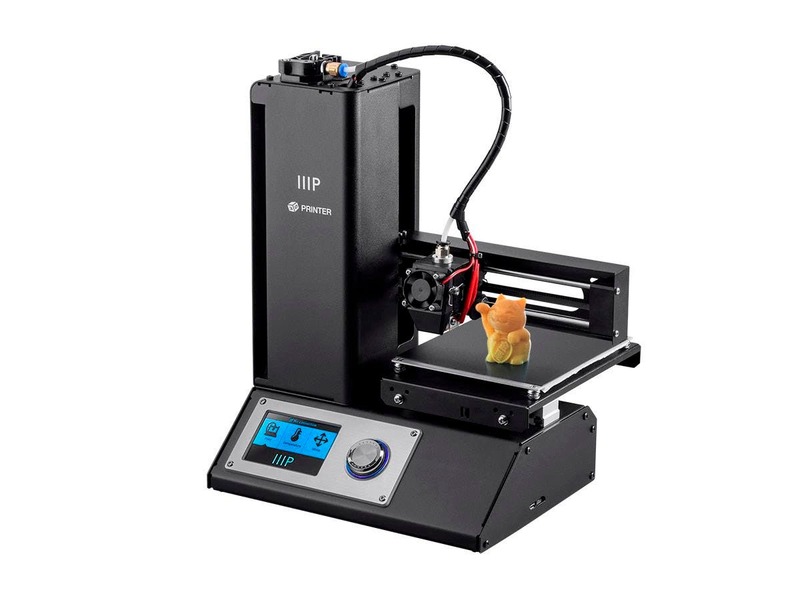 It is a great printer for it's price point. will it make a 3" wide x 1 1/2" thick x 4' templet ? Can the nozzle be replaced if it wears out? BEST ANSWER: Sure can. Just about every part can be easily replaced. Yes, the nozzle is removable and replaceable. It unscrews easily when the print head is hot. Where can I get a replacement nozzle? Anywhere that sells nozzles for E3D v6 clone hotends. Is there a list of part names to make it easier to find a replacement part? Particularly the printer head. 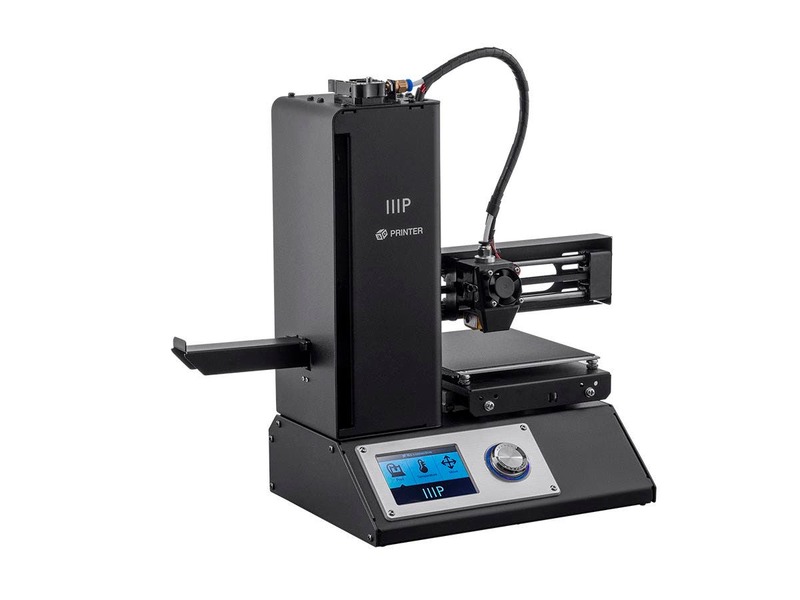 Does Monoprice offer these parts? I would hate to damage the printer because I accidently used a noncompatible part. Must you do it yourselve ? 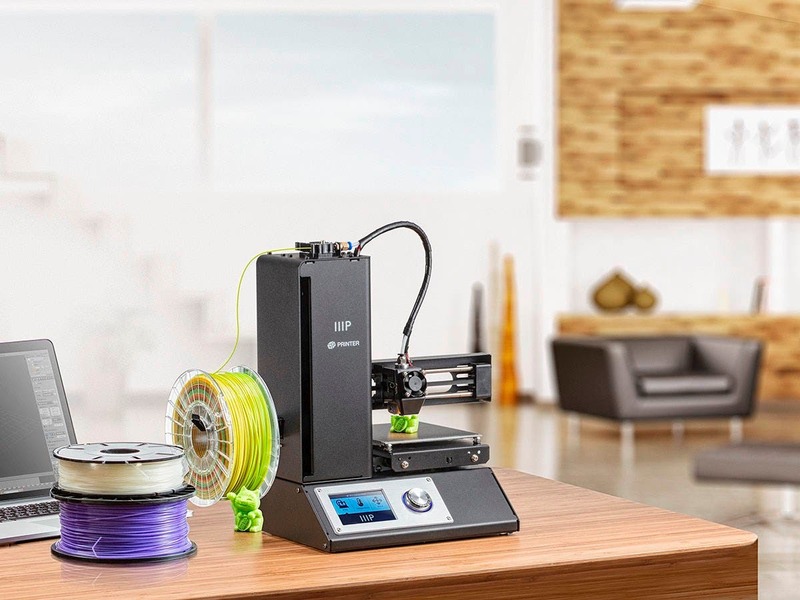 BEST ANSWER: It's pretty much ready to run out of the box I need to do is install the arm that holds the filament connect the power supply and you can start printing within 10 minutes Enter an answer to this question. It comes assembled already if that is what you are asking. Just got my printer a few days ago and just started to print with abs. The bed is set to 80C, but the read out only gets to about 64C. As a result, I had some edge curling. Is there a trick to getting the bed to the right temp? No problems at all printing pla. BEST ANSWER: The max "supported" bed temp is 50C, though higher is possible depending on ambient conditions (the bed heater is not powerful enough to overcome heat loss). Try to reduce drafts. Raising the ambient temperature around the printer may also help, but be careful not to overheat the printer itself (ie. don't stick in in an enclosed boxed without active ventilation). I've sometimes placed the printer half inside a box so that the print area was enclosed on 3 side while the z tower was completely outside. Using rafts may also help. The bed heating element can really struggle to get up to 80C for ABS. I've had the best success when the ambient temp is above 25C. You might consider rigging up a small enclosure for your printer. People use insulation foam, wood or plexi to make a box with a door for access. I did just that. I cut a cardboard box to make an enclosure, taped the back of the fan , reduced the speed to .3, put a good layer of glue stick on the bed and got a perfect abs print. Probably will make a better enclosure for the next time I print with abs. Thanks for answering. The hotend can do ABS temps.. the bed is not made for it. I would not recommend trying to do ABS on a printer like this you have too many factors against you. Max bed temperature set via gcode is 60C. Applying a higher setpoint via gcode will not raise the temperature beyond this. This limit is set in firmware. Gcode bed temp was set to 80C in Cura. I will check it again in case it some how defaulted back to 60C when it was saved. Thanks for the quick reply. I see that you said the max temp is set in the firmware. Never mind my reply. I did however get a good print with abs by taping closed the fan vent, blocking airflow around the printer with boxes and slowing down the print speed. Probably stick to pla in the future. Is autocad a good program to use if I'm making my own things on the printers like the mini? BEST ANSWER: There are a ton of good programs to use for design, Autocad being one. If you want to build simple models for free Tinkercad may be a good option for you. The printer comes with Cura which is a good splicer. You just need a program that can export your models to .stl or .obj so you can load them in the spliced and output .gcode files that the printer understands. You need a 3D CAD program. AutoCAD is 2D. For simple objects, you can use ThinkerCAD, which is free. For more complex objects and assemblies, you can use Autodesk Fusion 360, which is free for non-commercial and <$100K commercial use. I use Fusion 360, as I'm an engineer and appreciate the extra features of it..
Autocad is a perfectly good program for designing objects for 3D printing. The same company also offers a free CAD program called Fusion 360 which a lot of people use. You should check out Fusion360. It's made by the same company and free for hobby use. Great program! The heated bed has a nice hard black plastic/rubber liner. Do I need to cover this with tape, or this a new feature to cover the aluminum instead of the tape? Is the black liner replaceable? BEST ANSWER: Print directly on the black surface. This is a new design and has worked great for me. No need for tape. I think it is replaceable, I can say mine has seen alot of prints and is still in excellent condition. Its a new feature. It works pretty well instead of painters tape, but a number of users do remove it in favor of other upgrades. Also, I recommend you clean your buildtak with alcohol to remove any oils or debris. I've found this to increase the adhesion of PLA to the build surface of the V2. Customer Service told me that a company called buildtak sells replacement black mats. Would people recommend this printer for first timers? BEST ANSWER: I would definitely recommend it for first timers, it is ready to go out of the box and at a great price point for a turnkey printer. The print area can sometimes be a bit constraining but it hasn't been a major issue in the year I've been using mine. I've also noticed that it's now one of the handful of printers natively supported by Windows 10 as part of the fall 2018 update that just came out too, which is a plus. This was my first printer. It was easy enough to get up and running, but I had my first one die after 3 weeks. Monoprice replaced it quickly and the 2nd one has been fine. You’ll still need to learn about slicer programs, Gcode, etc but for the price this isn’t a bad place to start. I bought this printer as a first timer, and I think it was a good choice. There is a lot of user support on the Internet and I have had few problems using it. I am very happy with it! We are trying to download something to our sd card but it keeps telling me that there is not enough space. I have deleted a lot of the files but it still won't let me save to the card. Does anybody know what to do? I'm using a Mac. BEST ANSWER: Hi! I also use Mac and run into this issue. When you delete things off the card be sure to empty the trash. I'd that still doesn't do it, open your applications folder, find utilities, disk utility. It'll be an icon with a disk and a stethoscope. Open that and select your sd card on the left.. there's an erase button on the top, format it with the msdos formatting. This will def erase everything. Use with caution because this utility will delete and drive you tell it to!! So I hope the trash can issue is your only issue. I do not have a mac, but from what your saying it's most likely the sd card format or corrupt file, if not that then it is your mac and needs to be restarted from a complete shutdown. Is it wireless like V1? I just added wireless to my V2 printer. It was very easy to do using the Android app that you download from the Google Play store. The instructions are in the user's manual. It only does the older 2.4GHz though. 5GHz Wi-Fi is not supported. In my area 2.4GHz' 11 channels are so crowded that I have to use 5GHz. This won't do that. what modification is required for flexible filament? BEST ANSWER: There a few easy to print and some that dont require printing at all. But essentially you need to prevent the filament from back feeding . I you search MPSM Flex adapter on thingiverse you will find a few options. To print with TPU I reduced the print speed to 20 in Cura. This seemed to reduce layer adhesion issues (ie. turning into a ball of TPU) and increased quality. I also increased build plate temperature to 60C and add a brim to increase plate adhesion. I have not had issues with the filament feed. I printed Priline TPU yesterday with zero modifications. The setup routine places the head off of the print area. How can that be solved? BEST ANSWER: If you are talking about when it asks you to select the home axis and it's not over the black matte area? Mine was like that too, I put my sheet of paper there, and adjusted the bed (very slightly) and continued. Mine printed exactly like it should have first try . Maybe you are suppose to calibrate it there? The Black matte area is already larger than the print area so the machine's axis is greater than it's yield. The homing routine puts the head off the print area because this is where the limit switches are located. This is normal. If you are out of travel on the bed leveling screws and the bed is still too low, I would contract Monoprice. Does the software does CURA work with this select mini v2? Yes, I've been using Cura just to do the slicing of the .stl file. Should I use PLA or ABS? I'm looking for a pretty maintenance free experience if at all possible. I'll be using the printer to learn and for my kids to make things around the house. BEST ANSWER: I used PLA only (but it does handle ABS if you like). I bought mine about a year ago and the first thing I did was put down a piece of picture frame glass to level the printing bed. The factory bed was warped and could not be made level (super important for good prints!) but the glass made it MUCH BETTER. I have not re-leveled it since (9+ mo. ago). I have moved the printer around to different desks/rooms, let it collect dust, went weeks/months without printing - but every time I turn it on and print it makes GREAT quality prints with zero adjustment. I just turn it on and print - that easy. Love this printer. Hopefully one day I'll upgrade to something larger but for now this is the perfect 3D printer for myself and my kids. I would definitely reccomend PLA most versatile and easy to use, clean, and setup. What type of ink does this 3d printer use? BEST ANSWER: This uses plastic filament. Different type of plastics can be used. The most common is PLA and PETG. You can find this online with a search for 1.75mm PLA. It comes on spools of different sizes. I hope this answers your question. Happy 3d printing! 1.75mm diameter filament. I have used PLA, PETG, ABS, and Nylon (Taulman-230). Can you use TPU filament with this? BEST ANSWER: I've used TPU and have had good results. I found that it worked well and better quality when I reduced print speed to 20mm/s in Cura. I also added a brim or raft to most prints as I was having build plate adhesion issues. I also increased build plate temp to 60 or 65C. I didn't do any physical mods to the printer. The filament feed without issues. I believe so, yes - but it would require some modifications. Double check the Facebook group for instructions/guidance before buying this model. The insulation around the nozzle needs to be replaced on my MiniV2. What are my options? Monoprice will not allow me to provide you a link. If you look up mpselectmini dot com and “heater block insulation” you will find information I hope will help. The insulation is not entirely nesescary to the functionality or efficiency of the printer. But you can or then cheaply on eBay. What is a good choice for software for making figures? And how do you convert them ? It was. Don't expect to make extravagant/super detailed 3d prints at this price point but it it very good. I just got my printer and the screen just stays black after i turn it on. how do i change that? BEST ANSWER: When I turn mine on there is an audible clunk as the motors engage, so if you are not hearing that then I would say it is not getting power. Make sure none of the power connections are loose and verify the wall outlet is supplying power and any power strip you might be plugged into is also switched on and supplying power. If it is all plugged in and you know it is getting power but you have a blank screen and no motor engaging sound when you switch it on I would think the problem is likely with the power supply and you need to contact customer support. 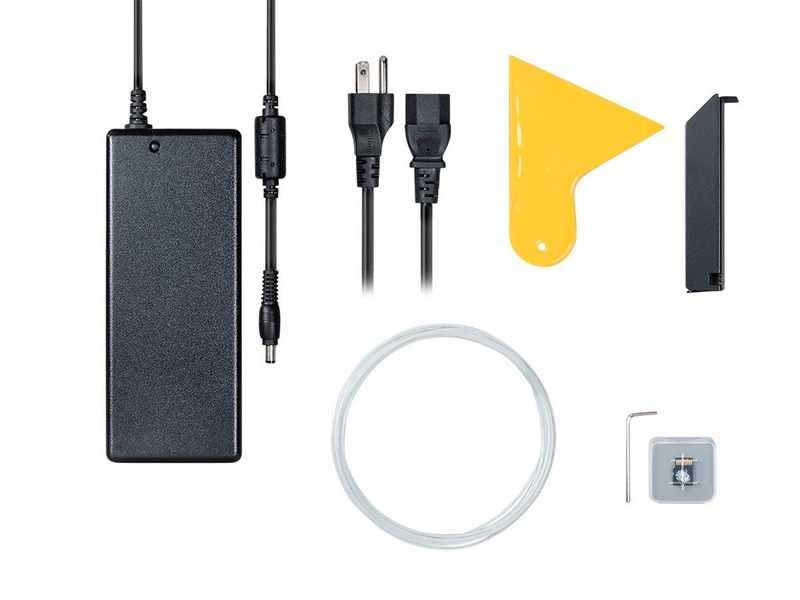 If you know the outlet is providing power and you hear it engage when switched on then the problem is likely with the LCD screen and you should contact customer support for that. This maybe simple but worth to double check that the plug has power and the plug into the printer and adapter are all plunged in firmly. Perhaps plug the printer into another receptacle to make sure. And the switch for the printer is on the back lefthand side. If these don't work then the printer might be broken. I'd contact monoprice because that should have popped right on when you turned the power on. You have some kind if defect sounds like. Why is the V2 only compatible with ABS/PLA when the V1 is compatible with so much more? 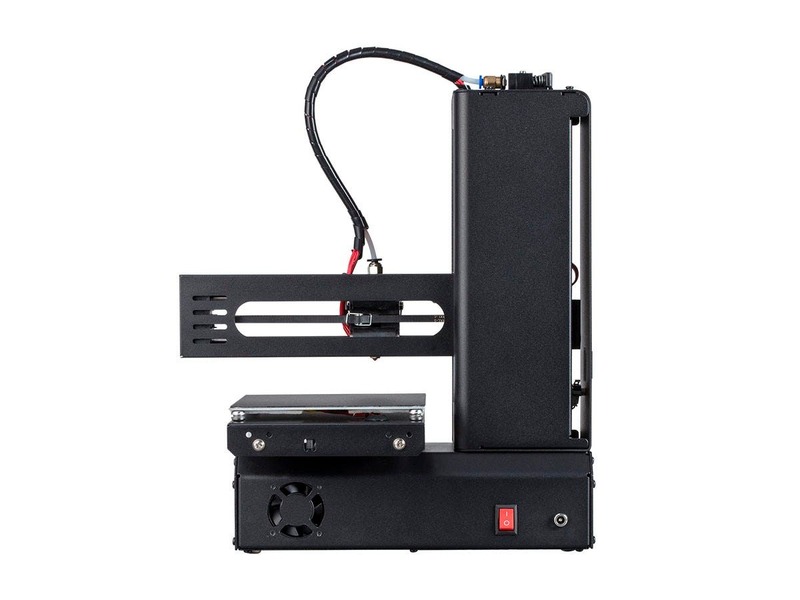 Is this printer compatible with the PLA+ filament you sell at MP?